This is an easy and a little bit cheater-bug recipe from Jamie Oliver. In his old series, I remember Jamie liked to make more fancy food that required harder-to-obtain ingredients and tougher skills. Now, in a bid to encourage people to eat healthily, Jamie started the Food Revolution series, and one of them includes this 30 minutes meal series – where one can get a main, one to two sides and one dessert ready in under 30 minutes. It was truly inspiring as even though he took shortcuts here and there, he doesn’t compromise on the flavour and the looks of the dish. This chicken pie come from one of his episodes and I tried it out for a gathering with my friends. Instead of making a huge pie like Jamie, I chose to make individual pies as mini pies are cuter and easier to apportion. I also modified his recipe quite a bit based on my experience with handling chicken and due to lack of herbs (more notes in the actual recipe below). 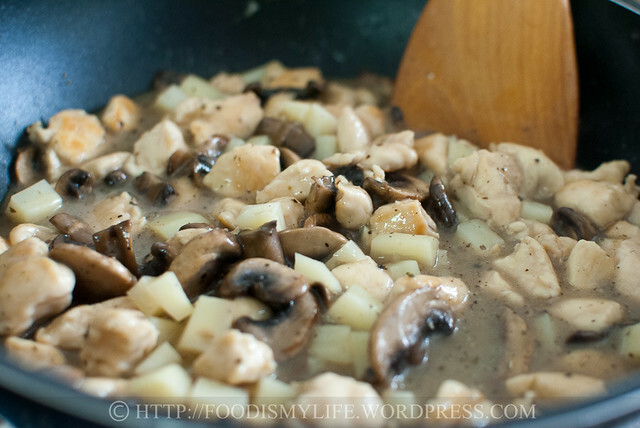 The chicken mixture is really scrumptious – I almost wanted to forgo making a pie and just serve it with spaghetti! Sorry for the blur photo! Recipe Box #7 hosted byBizzy! First dice plenty of chicken fillet. Once again, my apologies for such a blurry photo! In goes some soy sauce next – gives it some colour and saltiness. 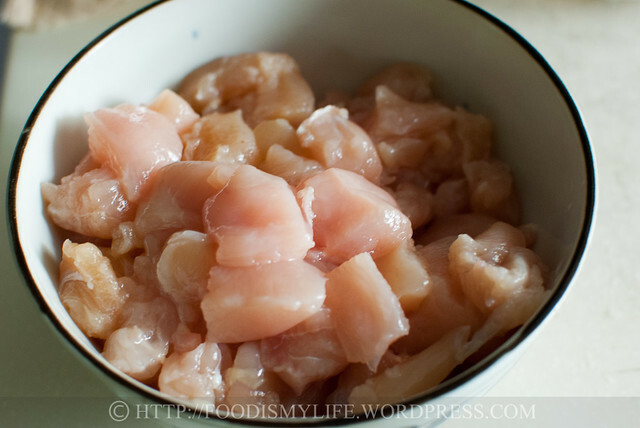 Mix well and leave it aside to marinate for 15 minutes. 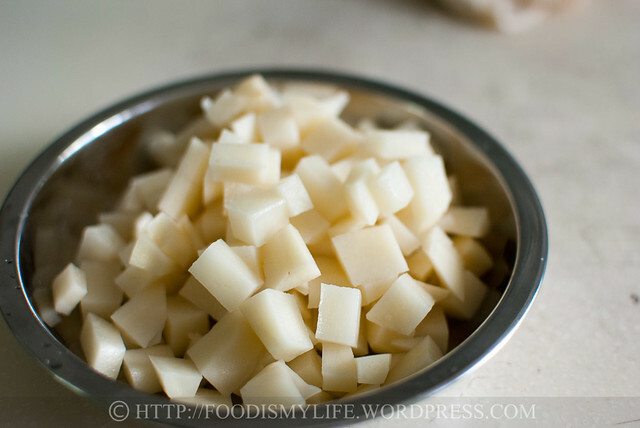 While marinating, dice one potato into small cubes. Sear the chicken in a very hot pan in some oil till browned all over. Transfer the chicken onto a plate. 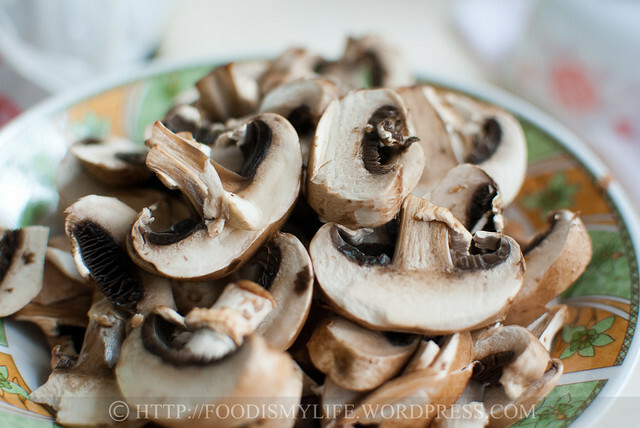 Sauté until the mushrooms have shrieked in size – the mushrooms impart a very thick and rich flavour which makes the pie exceptionally delicious! … And the chicken pieces. Stir it around and add in some of chicken stock. And yes, that’s my hand. My hand reminds me of the claw in Toys Story, like, seriously! Putting my claw hand issue aside, add in some plain flour and a knob of butter. The flour will thicken the sauce and the butter gives it an extra depth of flavour. Bring it to a boil and simmer until the mixture has thickened. Season with salt, black pepper and your favourite herbs (Jamie used bay leaf, I used dried sage). 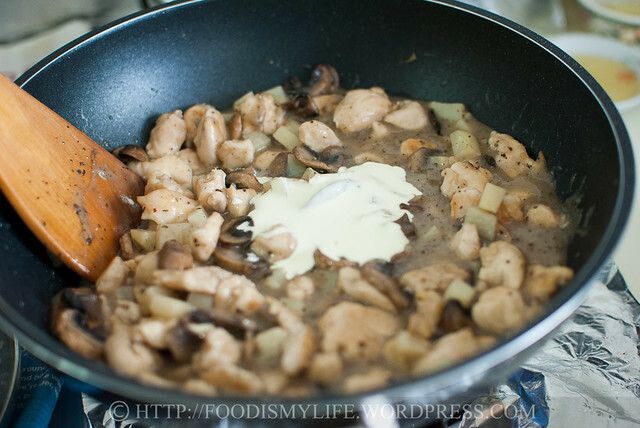 Stir in sour cream (Jamie used crème fraiche) and adjust the seasoning if necessary. Transfer the mixture into a little ramekins, then top with a piece of pastry (short crust or puff – whichever is your mistake favourite). Brush the top generously with beaten egg and bake away! 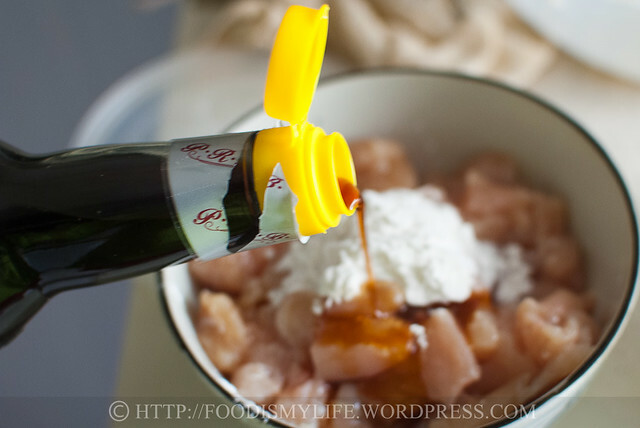 Bake until the top is golden and the sauce is bubbly! Break the pie crust and savour the tender chicken pieces, soft potato cubes, chewy mushrooms, creamy and rich sauce, and the crispy crust! Wash, dry and dice the chicken fillet into bite-sized cubes. 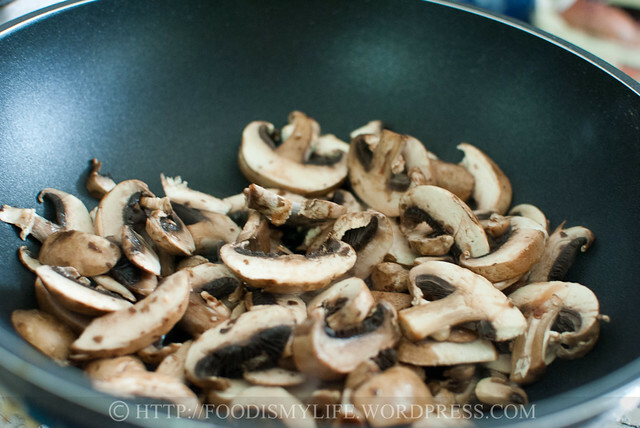 Combine them with the corn flour, soy sauce and black pepper and set aside to marinate for 15 minutes. 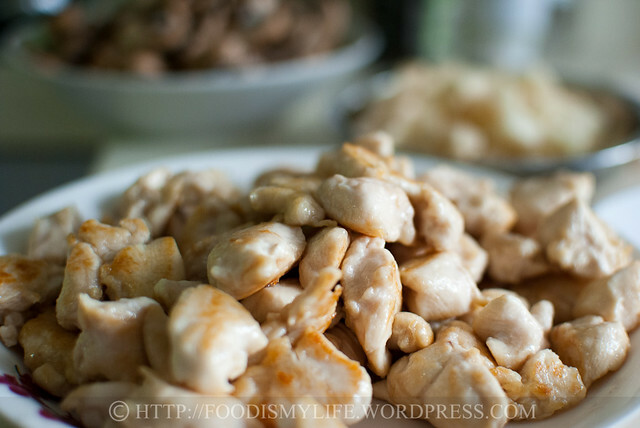 The corn flour will help to keep the chicken tender while the soy sauce will help the chicken to brown better. Heat a large non-stick pan (deep enough to hold liquid) over high heat and add in some oil. Turn the heat down to medium and sear the chicken pieces until browned on all sides. 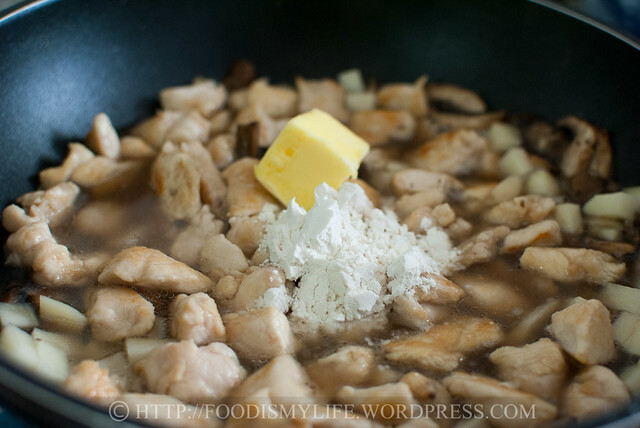 Do this in a few batches (adding more oil if necessary) if your pan cannot hold all the chicken pieces in a single layer. 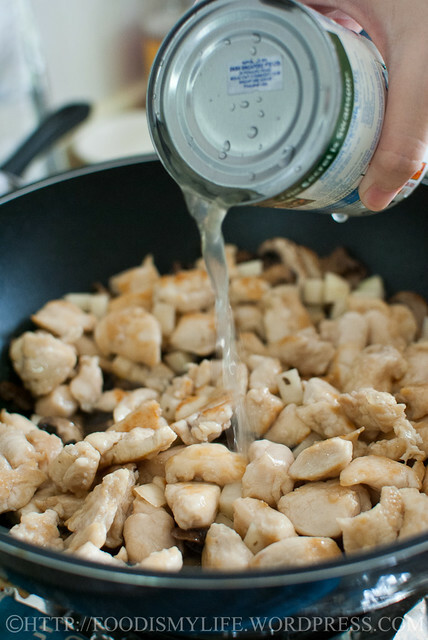 Remove the seared chicken (they don't have to be fully cooked) with a slotted spoon and place them on a large plate. 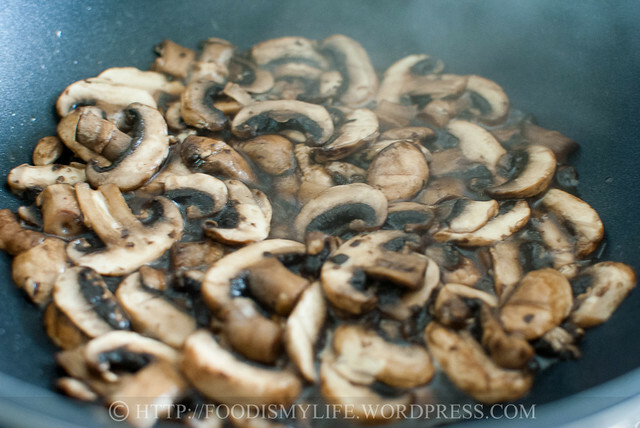 Keeping the pan over medium heat, add in the sliced mushrooms and sauté until the mushrooms have reduced in size. Season with a little salt and black pepper. Add in the seared chicken and the potato cubes. Add in the chicken stock, flour and butter and turn the heat up to high and bring the mixture to a boil. Add in the dried sage and cook until the mixture has thickened. Stir in the sour cream and turn off the heat. 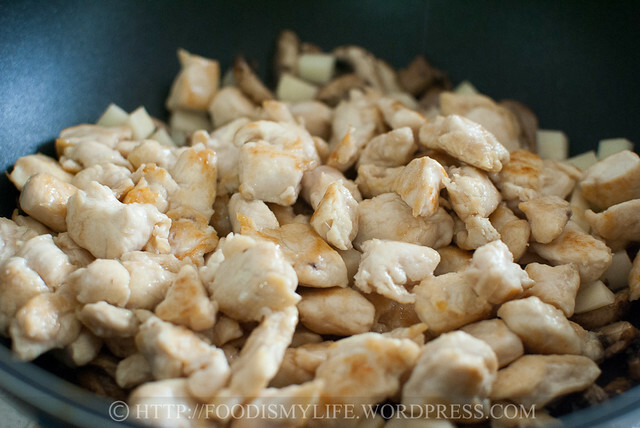 Divide the chicken mixture among 4 to 6 greased ramekins (or transfer to 1 8x8-inch greased baking tray). Cut the puff pastry / shortcrust pastry into 4 to 6 equal pieces (ensuring they are large enough to cover the top of the ramekins). Place the puff pastry / shortcrust pastry on top of the chicken mixture, making decorative patterns on the edges if desired. Brush the top generously with the beaten egg and bake for 10 to 20 minutes, until the pastry is golden-brown and the chicken juices are bubbling and overflowing. Let the chicken pie rest for 5 to 10 minutes before serving. I just made this, with a couple minor adjustments- I added carrots, onion and used actual pie crust. I also used thyme and pepper for seasoning. Also, I added a little half and have to make it more “creamy”. It was quite good, but I think even a couple more things could be done different. 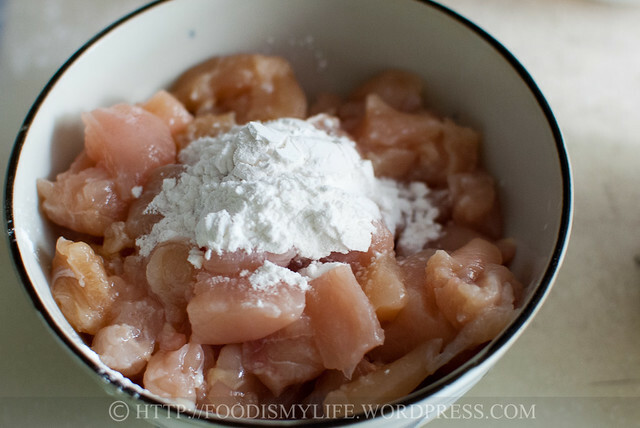 One- I don’t think the need for marinating the chicken with cornstarch and soy sauce was needed. It turned into one gooey mass of chicken pieces. It did separate as it cooked and as i “chopped” at it. I think this step is completely not needed. I would just sautee the chicken breast in some oil next time. The soy sauce also added salt, which to me the overall recipe was slightly salty without adding any salt. I would also probably double the mushrooms next time. 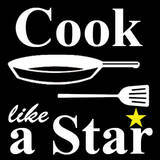 Oh and for U.S. conversion : 1 lb chicken, 8 oz mushrooms, corn starch is also called corn flour, 1 1/4 cup chicken broth. I am unsure what a “knob” of butter is. Hi Aida! Yes, the corn flour is corn starch here and it’s white in colour. The yellow corn flour is known as cornmeal here. If you are unable to get corn starch, you can omit it from the recipe. 🙂 Hope this helps! Hi! I loved your récipe and I’m going to try it, but I have a doubt: The corn flour is corn starch?, because it looks very white… I’m from Mexico and what we use here as corn flour is yellow or even blue… Thank you! Aww you are too sweet, thank you! The photos of your pies are absolutely lovely Jasline! I really like the way you styled them. And I am sure they tasted just as good! This looks wonderful – and I love your pictures! I’ll have to try it. Thank you Leslie! Glad you like the recipe 🙂 Take care! Thanks Karen! Glad you like it, go make one soon 😉 Have a great week ahead! You should! Jamie Oliver said, “Life’s too short to be making puff pastry everyday” So I guess it’s alright to cheat once in a while 😉 Thanks Jeannie, have a great week ahead! Thank you Zoe! Yea, I think it would really resemble the soup if it’s puff pastry (instead of my blunder shortcrust pastry)! Have a great week ahead Zoe! Thank you! I’m amazed by how wonderful sage is! It’s such an awesome herb! Thank you! 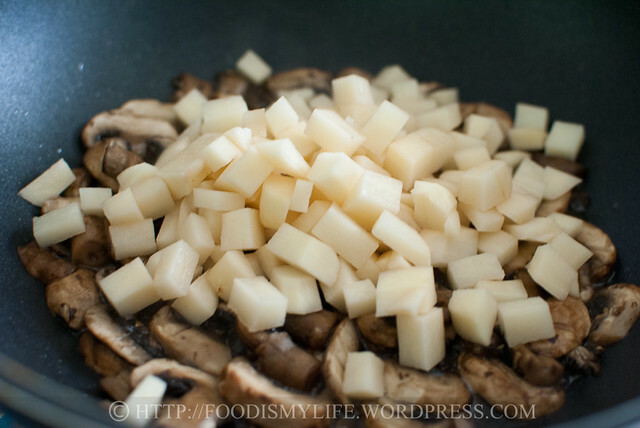 It’s delicious and ultimate comfort food, hope you’ll like it as much as I do! Hi Joyce thank you! I’m really happy that you all chose this theme, I discovered yet another to-keep recipe! Take care! Thank you Lena! I was still puzzling why the pastry didn’t puff up at all during baking… haha! But thankfully the pie still turned out delicious. Thanks for choosing Chicken Pie for this bake along! Have a great week ahead! Thank you! I agree, there’d be less “fighting” when each person have their own pie! Yes what a coincidence! Thank you for the compliments! I think I’ll stop at the sour cream step and mix it with pasta the next time I make this 😉 Yum! Thank you Uru! Take care! Thank you Bobbi! Yes making it is so incredibly simply but the flavours are so complex and wonderful! Have a great week ahead! Thank you! Ooh Nigella is my second favourite cook, right after Jamie Oliver! Yes it’s definitely a comfort meal! Thank you! This is my first time making chicken pie and I’m pretty surprised at how good it turned out too! I wish I can freeze some, but they’re all gone before I can do so! I love chicken pie and yours looks so good. looks like yum! I’m sure they were crowd pleasers! Even though you mention that you bought the wrong pastry, I would gladly eat the pies with shortcrust pastry anytime. strangely I was thinking of making a pot pie myself with a rough puff..thanks for the timely reminder! 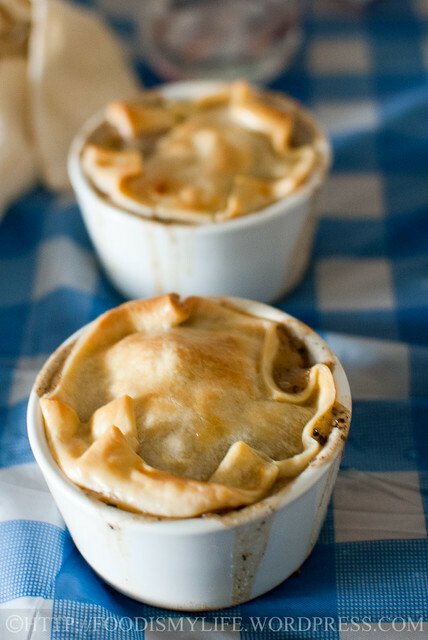 Using short crust pastry for these pies look like a good idea, I like the crispy look! I am going to try it too if I don’t have the time to do the home made pastry version. Your pies had me drooling! So much fillings! 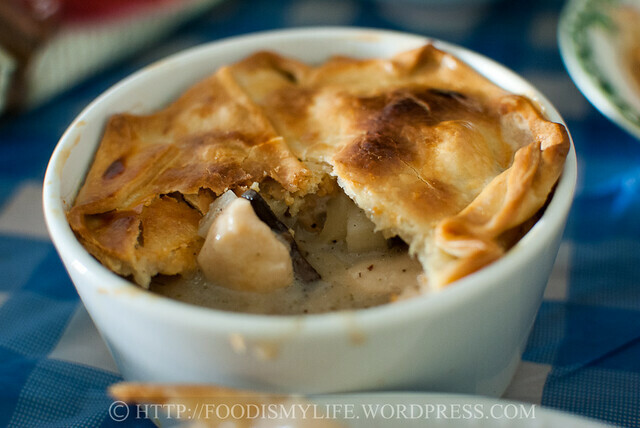 This recipe reminds me a lot of the classic chicken and mushroom soup with a nice pie lid… I’m always a fan of this all time favourite classic. Yum! Oh, I think you did exceptionally well to include sage with this! I just love it. Looks so delicious! Either short crust or puff pastry, both are great with chicken pies! And your filling sounds so flavourful and scrumptious! Just like Lena, I enjoy seeing all the different versions of chicken pies and pot pies with the delicious chicken filling! Thank you for baking along with us, wish you a great weekend ahead! Shortcut pastry is delicious , you hv probably discovered a good mistake ! I”ve been enjoying looking at each and everyones’ entries and seeing different recipes for chicken filling including yours! All sound delicious! Thks for your support again, hv a nice day! Ur Spain photo is very nice. Any chicken pie , just count me in. Jasmine your version is simple n delicious…. Hi Jasline, I just made the same JO recipe as you 🙂 Such a coincidence! 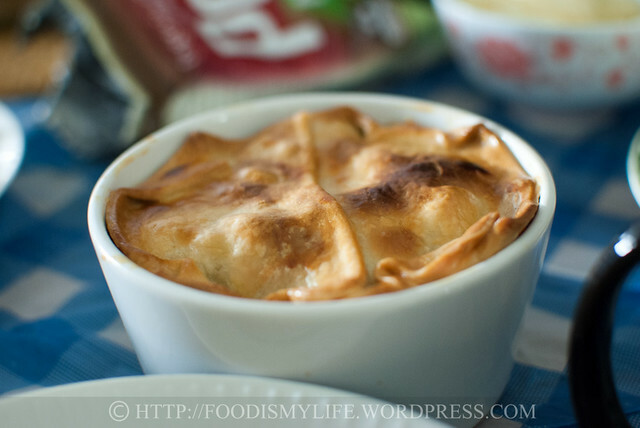 I love the filling… really creamy and delicious! Your pies are so beautiful. May I know where did you buy your ready chicken stock (in tin form)? I know I can get it overseas, but not too sure where in Malaysia. Thanks. How brilliant is the Food Revolution series too! 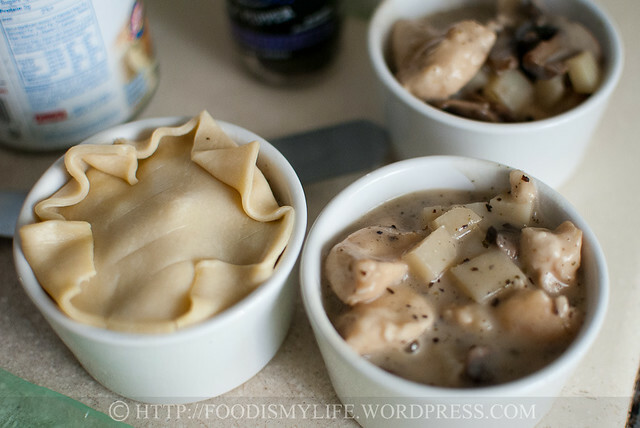 This is a chicken pie filling combination that I’m not familiar with but it does seem quite tasty and easily made with pre-made puff pastry or pie crust. You could freeze any extras and bake to order on demand … very convenient.